An opaque hedge thanks to the Miscanthus giganteus! The Miscanthus giganteus originates from the east and some central regions of the Asian continent. Scientific studies suggest that the plant was imported to Europe during the first half of the 20th century. However, it was not until the 1980s that it was closely studied to be better exploited in various industries. Very early on, Europeans found it to be aesthetically useful. The Miscanthus giganteus is then used as an ornamental hedge. Its ability to grow in a compact way makes it an excellent choice for those wishing to delineate their garden. Reaching heights of about 240 to 360 centimeters, it is a grassy, opaque and highly effective hedge to protect your exterior from the sight of passers-by. If you are looking for a hedge of grass that allows no light through, you can opt for this product. Planted with proper spacing, this plant only requires one to two years to provide unfathomable privacy to your garden or other piece of land. The more spaces you leave between the rhizomes, the longer it takes to reach the intended bushy effect. You will need to maintain your plants each year so they can grow. In the course of the various investigations, the Miscanthus giganteus plant showed a clear preference for sun-drenched areas where the soil is slightly moist, but not soaked with water. This herb can last up to 15 or even 30 years. Though emerged from hybridization, it is however infertile. Since it is sterile, once dead, it needs to be replaced by a new rhizome. 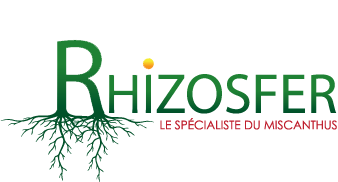 As a multiplier, we offer quality rhizomes that guarantee excellent yield.